At the northeastern terminus of the Golden Horseshoe, Oshawa is also at the eastern boundary of the Greater Toronto Area. With about 150,ooo residents in the city itself, Oshawa is part of a metropolitan area over twice that size. The city has history as a major player in the Canadian automobile industry. The McLaughlin Carriage Works became the McLaughlin Motor Car Company in 1907 and soon partnered with Buick and Chevrolet, producing cars first under the McLaughlin name, then later under the better known American brands as part of Canada’s version of General Motors. Today, Oshawa and Windsor both claim to be the Automotive Capital of Canada, and both have a legitimate claim to the title. Oshawa, as a bedroom community for the GTA, has a strong car-driven presence. Its proximity to Toronto brings some of the attendant big city driving issues. The table below shows Oshawa car insurance cost for a sample driver. We surveyed the car insurance prices in Oshawa for the purpose of illustrating the range in quotes based on driving record, location, and other criteria. To get a customized quote, enter your postal code above. As with any Ontario city, all vehicles on the roads require mandatory amounts of insurance coverage. This coverage includes third party liability coverage of $200,000 as well as several other classes of insurance, but doesn’t feature collision or comprehensive portions. Most Oshawa motorists increase the liability amount. Coverage of $500,000 or $1 million gives greater protection against lawsuits resulting from an at fault accident. 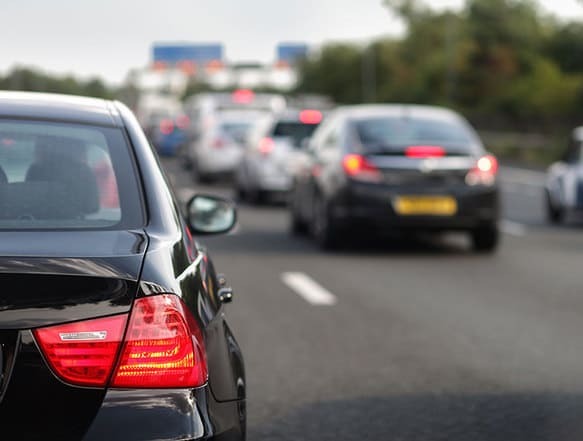 Collision and comprehensive insurance, considered optional by the Ontario government, may be required when a motorist finances an automobile purchase. Lenders may insist on this coverage for protection of the new purchase. While this drives up the cost of coverage, adjusting the deductible amount can fine tune policy premiums. Raising the deductible amount puts more responsibility on the driver in the aftermath of an accident, but it reduces the premiums for both collision and comprehensive insurance. Discounts reduce auto insurance premiums too. Most insurers offer a number of discounts. Using winter tires, participating in telematics programs and combining home and auto insurance with the same company are just a few typical discount types. To save money, a driver must request the discount from their insurer. It’s rare that an insurance company adds discounts automatically. The 401 is the main artery connecting Oshawa with the rest of the developed area along the northern Lake Ontario shore. Provincial Highway 2, known as King Street as it passes through the city, runs parallel to the 401. Bond Street also runs parallel to these and handles westbound traffic through the city centre, while King Street supports travel to the east. The 401 through Oshawa can frequently be reduced to bumper to bumper conditions due to volume, particularly during rush hours. The southern curve on the east side of the city at the GM plant typically represents the end of congestion from GTA traffic. The original north-south route through Oshawa is Simcoe Street, originally a settler’s road to aid development further inland from the lake. Simcoe Street starts at the Oshawa harbour and continues north to the Kawartha Lakes area. Four exits serve Oshawa off the 401. Stevenson Road, on the west side, replaced the Park Road exit with a full cloverleaf style interchange. Simcoe Street has a westbound on ramp and eastbound off ramp only. Ritson Road and Bloor Street East/Harmony Road handle traffic on the east end of town. Toll highway 407 current has its eastern terminus north of Oshawa at Harmony Road. Further development of the 407 to Clarington, east of Oshawa is planned for completion by 2020. Oshawa’s city streets are, for the most part, laid out in a grid based on its Lake Ontario waterfront. North-south streets run slightly northwest to southeast. East-west routes tilt east southeast to west southwest. This street orientation extends from Etobicoke in the west to Belleville. The City of Oshawa maintains an online list of street and sidewalk closures due to construction and maintenance. As well as the usual where and when, the Oshawa site includes why the incident occurs. The Ministry of Transportation for Ontario has a traffic report page for the Durham region, including Oshawa, Durham’s largest city. Highway401traffic.com provides a convenient link to Google’s map with real time traffic overlaid. A short-term weather report for Oshawa provided by the Weather Network is located here. Toronto radio station 680 News reports traffic and weather together six times an hour “on the ones.” The station covers traffic throughout the Golden Horseshoe region, including Oshawa. The station also live tweets traffic issues and tie-ups on Twitter. Another feature for motorists, GTA gas prices and price increases are reported through the station’s site. In the entire 828 km length of the 401, only Oshawa had the highway built through the town, requiring property expropriations and demolition of hundreds of houses. The original section, completed in 1947, extended to Ritson Road. Extension to Newcastle finished by 1952. It wasn’t until 1964 that the 401 became complete from Windsor to the Quebec border. Along with other communities on the north shore of Lake Ontario, VIA Rail’s Windsor-Quebec City corridor stops in Oshawa. GO Trains also connect the Oshawa station with Union Station in Toronto while GO bus service to the station connects with Oshawa’s downtown bus station. GO buses connect with Clarington and Peterborough, extending the service. Oshawa’s city transit rolled into Durham Region Transit in 2006. Buses provide local transit. The Oshawa regional airport has customs and immigration facilities but is not yet supporting international flights. Pearson airport, 75 km to the east, is the nearest international airport. 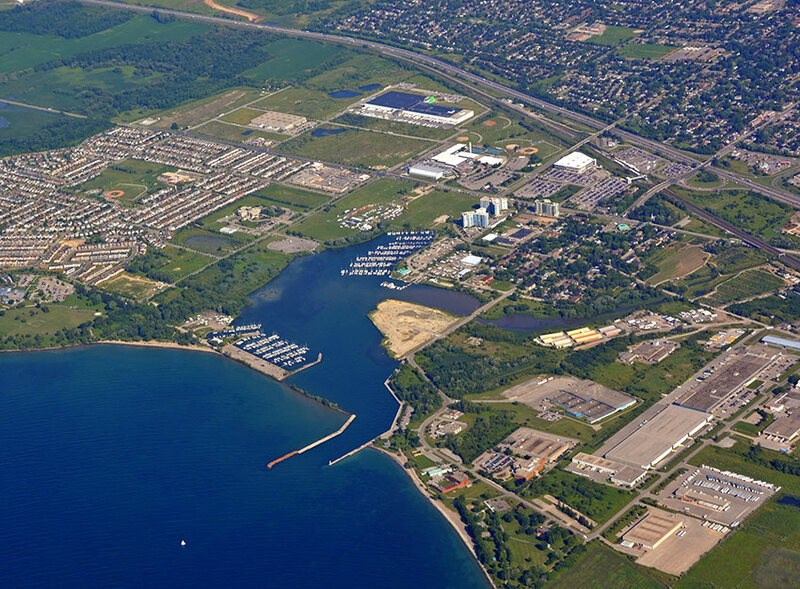 The Port of Oshawa upgraded to a federal Port Authority in 2009. Many locals wanted to see ownership changed to municipal hands for recreational development. The port remains active in the steel and automotive industries. Oshawa drivers can find the best car insurance rates through Ratelab’s car insurance calculator. Start with your postal code entered in the space below. Ratelab guides you through the rest of the form, identifying your car insurance needs. Receive up to 10 auto insurance quotes in just minutes.